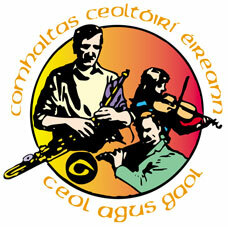 Craobh Loch Garman is the Wexford town Branch of Comhaltas Ceoltóirí Éireann. We are committed to the preservation of Irish traditional music, song, dance and, of course, language. Our aim is play our part in moving the traditional arts to a more prominent position in Co Wexford so that an cultúr dúchasach becomes a much more established and accepted part of the region’s cultural make-up. We organise concerts, street performances, sessions and workshops throughout the year. We also collaborate with local groups such as Na Macallaí, Sarah Sullivan Academy of Irish Dancing and Conradh na Gaeilge. At present we are not directly involved in the teaching of music or dancing nor are we directly associated with any music schools. However, there are a number of good teachers operating in and around Wexford town (as listed on our Classes page). We welcome the work that these teachers do especially in terms of passing the knowledge from one generation on to the next. While we are still a young branch and have much to learn we endeavour to continue with our efforts to put a thriving, well-organised and, in as much as it is possible, self-sustaining structure in place. Our plans for the future include bringing Fleadh Cheoil na hÉireann to Wexford town for the first time. Ach sin scéal mór eile! Brian Quirke, Ciara O'Grady, Denise Feeney, Elaine Keating, Catherine Roche.